It has just been reported that Port Augusta will be home to a $650 million, 150-megawatt solar thermal power plant, which should be ready and operational by 2020. SA Premier Jay Weatherill says the plant could lead to lower power prices, and it would supply 100 per cent of the power required by state government projects. The Aurora solar power plant in Port Augusta represents a significant development in South Australia’s transition to renewable power production and its pursuit for improved energy security. The plant will use concentrated solar power (CSP) to generate large scale energy production with a predicted 150MW and eight hour battery storage. The power will be generated using lenses or mirrors to reflect and concentrate sunlight, create heat and convert it into thermal energy. Drawing upon similar technology from projects that have been developed in Nevada in the United States, the project will be developed using $110 million of concessional loan from the government. The government will grant a 20 year contract to buy 125MW of the power generated by the plant. This provides price stability and means there is capacity for the plant to also supply elsewhere. One of the biggest regulatory issues for CSP is licensing and siting as a large plant requires both land as well as access to transmission lines. The proposed plant is set to be built 30km out of town on state owned land so this will resolve many of these concerns. The proposal will help to make the market more competitive and coheres with climate change imperatives. 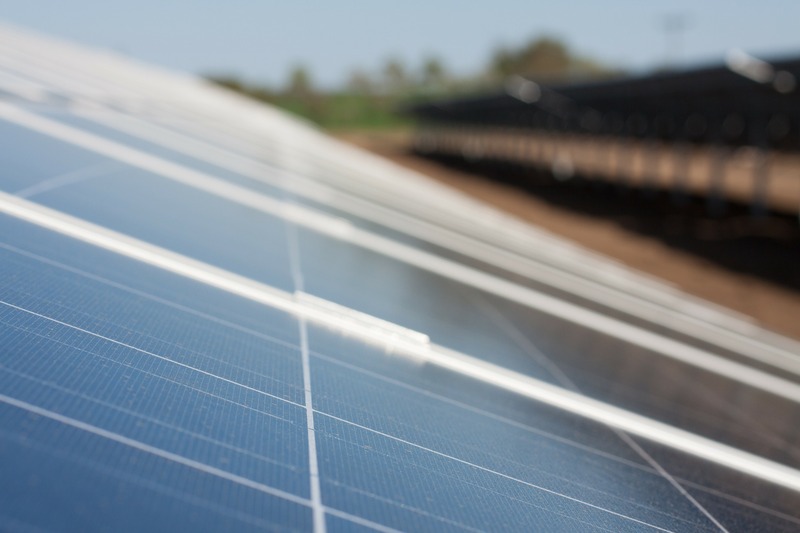 Longer term it will be necessary to monitor the effectiveness of production given the financial subsidies provided by the state and to evaluate the power project agreement between Solar Reserve and the South Australian government given that it is a key financial instrument for the project. In the current phase of renewable transition however, with higher cost pressure, steady industry development and stronger government support, the project looks positive. Dr John Pye is a Senior Lecturer from the Solar Thermal Group at the Australian National University. I'm very excited about this new announcement. I visited the SolarReserve system at Crescent Dunes, near Tonopah, Nevada, back in September 2013 when it was nearing the end of its construction process. That plant started up in Nov 2015 and SolarReserve has meanwhile been pursuing other projects in South Africa, Chile and many other places. One of our own ANU PhD students, Rebecca Dunn, took a job with them after leaving the university. It's very exciting to see large-scale CSP finally coming to Australia. Previous efforts under the Solar Flagships program looked very promising but ultimately it appears that the financing mechanisms weren't right and the projects were allowed to fall through without completion. I very much hope that this time around a good solid deal has been done and that we will see a world-class CSP plant delivering dispatchable power into the Australian Grid. This project, like all large projects in the ~5 GW global CSP market, are critically important in helping CSP to 'come down the cost curve' and allowing CSP to take up a role in the wide range of technologies that needed for around-the-clock fossil-free power for Australia any anywhere else where the sun shines brightly! Beyond CSP for electricity, at ANU we think that CSP will one day be the answer to decarbonising a wide range of industrial heat applications, and maybe even a way for Australia to export higher-value renewably-processed metals, instead of raw materials like ore.
Dr Mark Diesendorf is Associate Professor and Deputy Director of the Institute of Environmental Studies, UNSW Australia. An excellent decision! Port Augusta's concentrated solar thermal power station with thermal storage will be a dispatchable source of renewable power. In orther words, it will supply power on demand. Along with the Tesla battery and open-cycle gas turbines, it will balance the fluctuations of the variable renewable energy sources, wind and solar PV. The Port Augusta Solar Thermal plant will be a great complement to the range of new technologies now in South Australia and the rest of the nation such as Wind, Solar PV and electric battery such as the Neoen/Tesla battery announced last month. Solar thermal with storage is an ideal partner to the other new technologies whose growing deployment is now unstoppable. Being able to store it’s own energy output in a thermal way (not electrically such as in the case of Lithium Ion) makes this a truly dispatchable renewable technology. While this particular project appears to be uneconomic without the state government subsidy, de-risking early stage investment is the government's role and as more deployment of new technologies will bring the cost down as industry learns how to manufacture and deploy at scale. we need the most diverse mix of technologies possible if we are to ensure we limit climate change based temperature rises to 2 degrees if not 1.5 degrees. It will add to the downward pressure on wholesale energy prices although at the size of 150 MW the impact will be quiet small and it is unlikely to be felt in the end-consumer bill, particularly as the majority of the retail electricity price rises seen over the past 10 years have little to do with the cost of energy generation but more to do with failures in retail competition as well and wholesale market ownership concentration and insufficient transmission inter-connector capacity in the National Electricity Market. This concentrating solar thermal power station will be Australia’s first major solar thermal power station. This will make it one of the most important milestones along Australia’s transition to a low emission electricity system. The project will deliver both direct generation of electricity when the sun is shining plus up to eight hours of molten salt thermal energy storage. The storage will allow the power station to keep supplying electricity at full capacity for some hours after the sun has set and peak evening demand for electricity has passed. It will thus combine both generation and storage in the one plant, greatly enhancing the reliability and security of the electricity grid in SA. At a reported 125 MW it will be large enough to supply 5 per cent of the state’s current total daily electricity consumption. The reported contract price to the state government of $78 per MWh is not much higher than recent contract wind generation prices and at or below prices for electricity from current solar photovoltaic power stations, neither of which include energy storage. It is also well below the estimated cost of any new coal fired power station in Australia, and well below the spot wholesale price of electricity in the SA market region, which has averaged between $110 and $120 per MWh since March this year. We have lots to learn about how solar thermal can contribute to a stable, low cost, low emission electrical system, and the announced system will be an important step in understanding the potential of solar thermal. One of the big challenges for solar thermal as a storage tool is that it can only store heat. If there is an excess of electricity in the system because the wind is blowing strong, it cannot efficiently use it to store electrical power to shift the energy to times of shortage, unlike batteries and pumped hydro. It is not yet clear whether it will deliver a better outcome than wind and solar with electrical storage. This is first large scale application of solar thermal generation in Australia which has been operating successfully in Europe, USA and Africa. The significance of solar thermal generation lies in its ability to provide energy virtually on demand through the use of thermal energy storage to store heat for running the power turbines. This is a substantially more economical way of storing energy than using batteries. While this technology is perhaps a decade behind solar PV generation, many future world energy forecasts include a considerable proportion of this technology in tomorrow’s energy mix.